Kapolrestabes Bandung Kombes Pol Hendro Pandowo confirmed that the Commission conducted a search in Sukamiskin Lapase Bandung at around 00:30 pm. "Correct by KPK we are just security," said Kapolrestabes Bandung when contacted via short message on Saturday. Hendro said the search was conducted for three hours by the KPK from 00.00 am to 03.00 pm. "We 'back up' the security only. The search was finished at 03.00 am," he said. After the search, said Hendro, KPK brought some people in prisons. "Yes it is true (some are brought)," said Hendro. 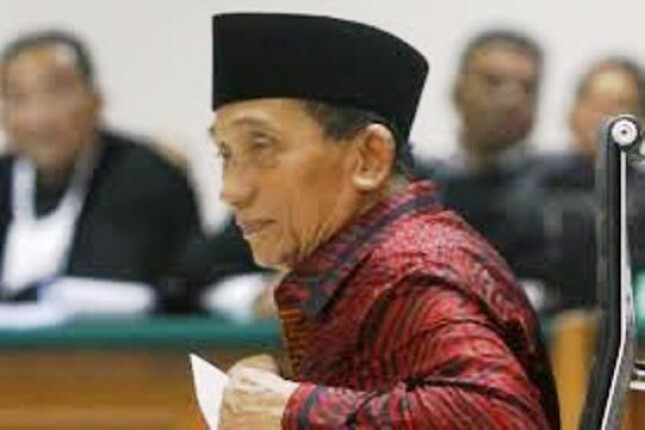 Based on the information gathered, the KPK team had conducted a search in the husband's room Inneke Koesherawati Fahmi Darmawangsa, Fuad Amin, and Tubagus Chaeri Wardana alias Wawan However, since Fuad Amin and Wawan are being treated in hospitals outside prison then only sealing the room Fuad Amin and Wawan.